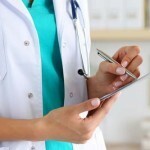 90% of women who took part in a clinical study would recommend this treatment. This treatment helps to stimulate fat breakdown, collagen synthesis and lymphatic drainage. It does this by increasing metabolic function and increasing cellular membrane permeability in the areas treated. Fatty acids and glycerol are released and removed by the increased blood supply and lymphatic movement. This treatment produces sound waves that help stimulate the blood and lymphatic circulation in the treated area. In addition, they also stimulate the connective tissue and septa mobility, giving the skin a firmer tone and reducing the cellulite within the skin. 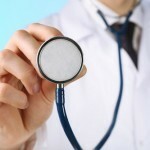 We would typically suggest a course of 8-10 individual 30 minute sessions. 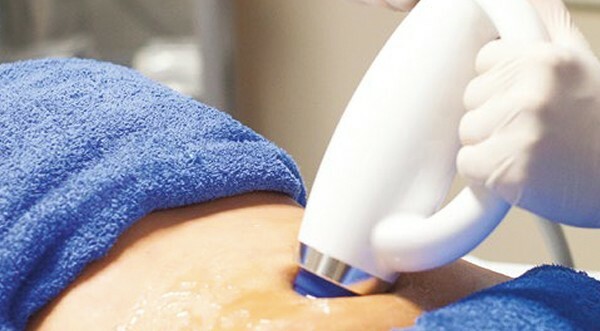 Or the treatment can be used straight after the fat freezing treatment know as Cryolipolysis treatment (for 3 minutes). Results are seen as quickly as 2 weeks after starting the course. You are able to combine this treatment with other treatments in order to maximize the results. 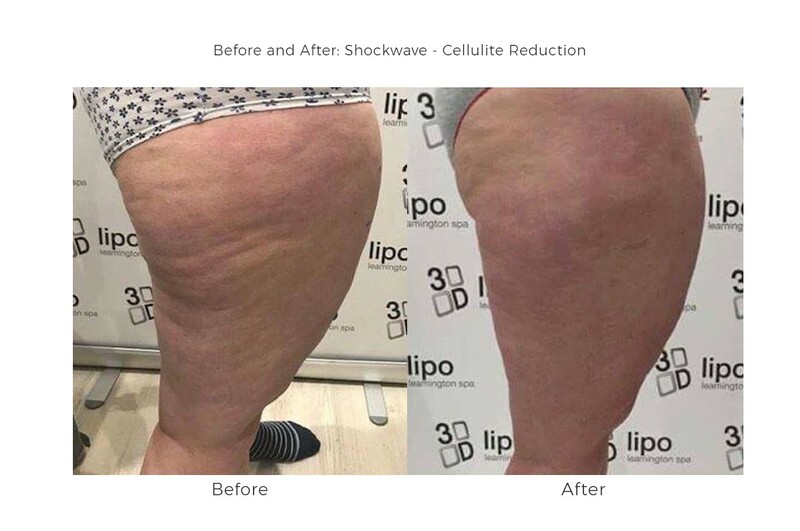 We can tailor an individual cellulite reducing Shockwave treatment plan to meet your desired goal, this will be discussed at the time of your consultation with the specialist. For maximized and long-term results, we suggest that you follow the after-care advise the specialist will discuss with you, this usually includes exercising and increasing water intake. 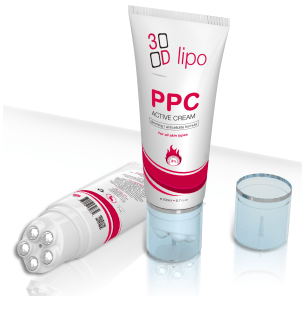 Another alternative to Shockwave therapy that we can also provide you with, is the 3D Lipo/Ultimate PPC Active cream. This helps to progress and enhance the results of your treatments, apply the PPC advanced solution (derived from soybean) for continued reduction or cellulite and excessive fat. This product uses a unique rollerball massage applicator. The micronized active ingredient is penetrated into the skin and acts in the subcutaneous fat. It generates heat under the skin which increases local metabolism. It also increases excretion (sweating) and blood flow. The PPC cream and ampoules contain capsicum (chilli) which help raise the temperature of the treated area. These consecutive actions help regulate the fat cells by creating a ‘melting’ effect and a cell stimulating effect. 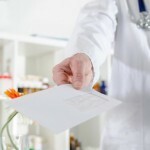 In order for the treatment to be most effective, you must apply this product as directed by the specialist. 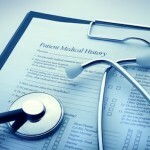 When combined with professional treatment and a healthy lifestyle, these results are most visible after 2-3 weeks. Due to the content of capsicum, within 5-10 minutes of application of the product, the temperature of the fat cells increase by 1-2 degrees. This heat sensation is likely to last for approximately 30 minutes within the skin before cooling down. As a result of this, a “melting” will occur within the fat cell which will help to stimulate cell growth. No downtime or recovery time needed for this treatment, however there may be possible bruising and tenderness around the area post – treatment, this will only last for up to 10 days.